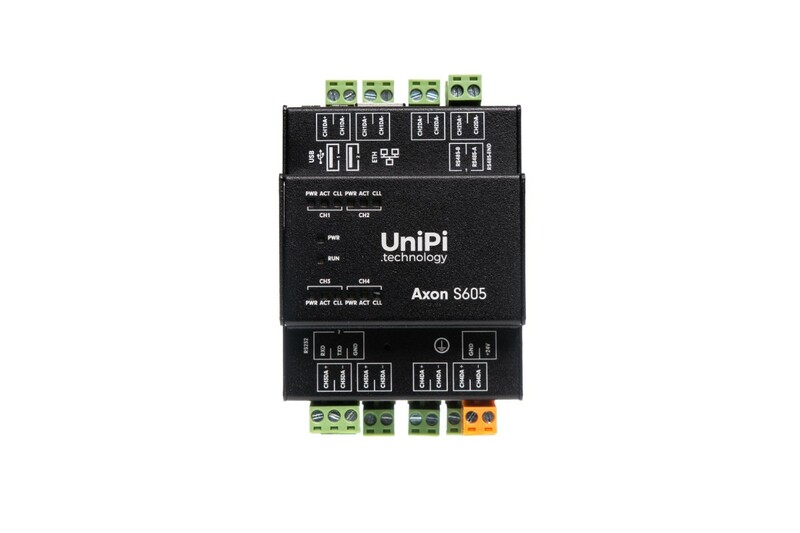 UniPi Axon S605 is a control unit featuring four IEC 62386 channels for controlling intelligent digital lighting systems. The standard is compatible with DALI. 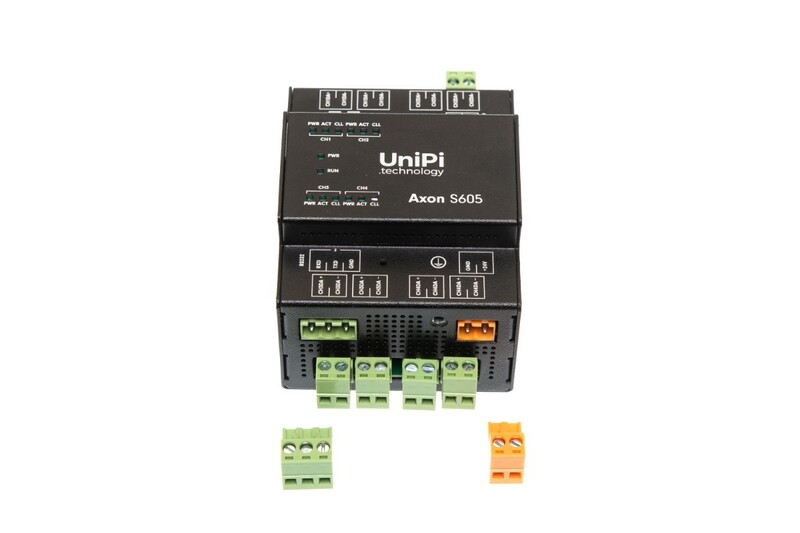 Note: The S605 model does not have software support at the moment and is suited primarily for software developers. 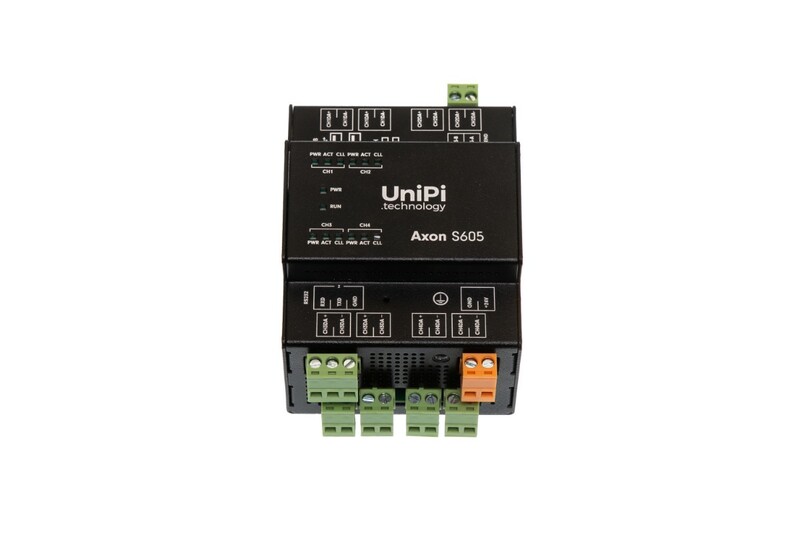 UniPi Axon S605 is a PLC designed for lightning control in building automation projects. 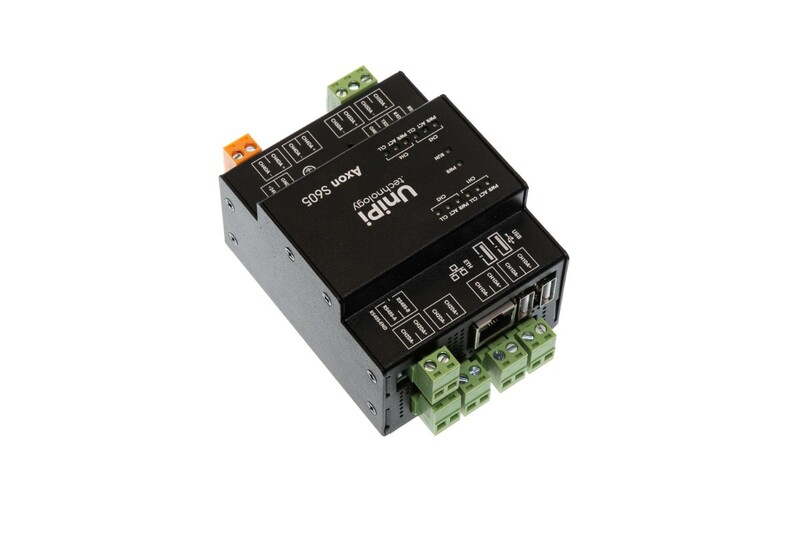 The IEC 62386 bus is compatible with DALI™ and is used primarily for lighting control. 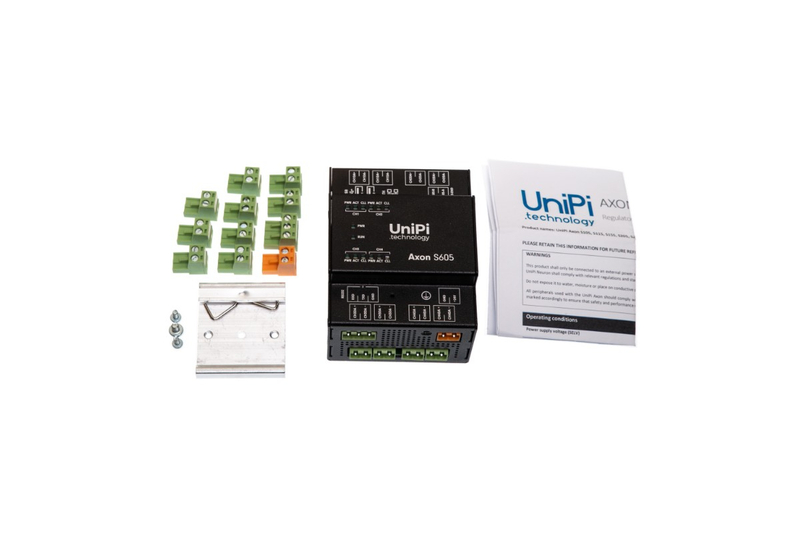 A single channel can control up to 64 lights via 2-wire bus. Lights can be controlled individually, in groups or all at once. 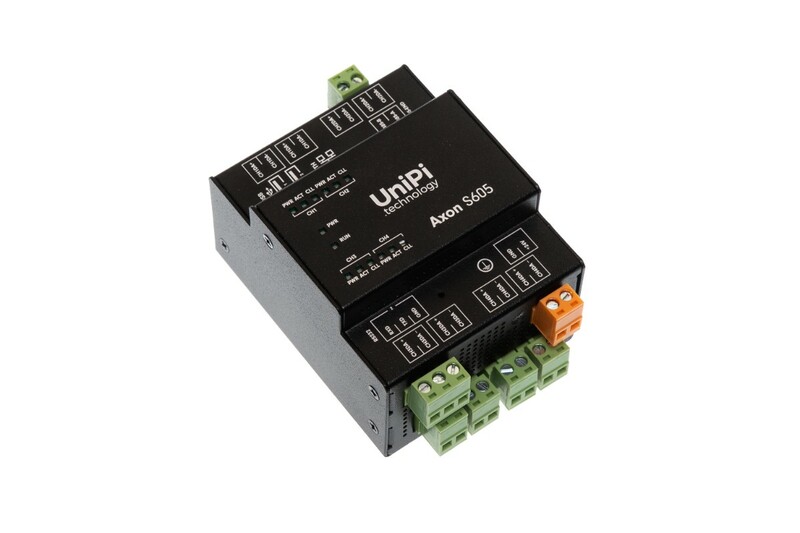 It is also possible to control dimming or to apply lighting presets. Each channel then can communicate in parallel independently. 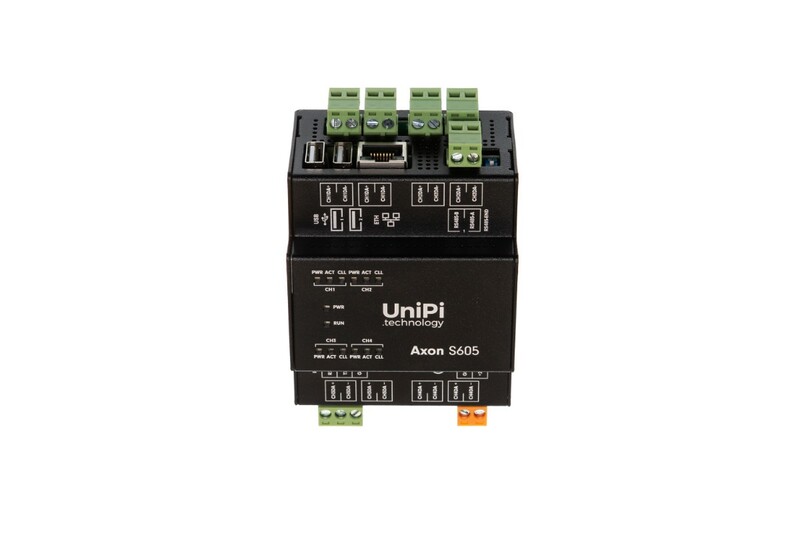 The operating voltage for the signal is defined as 0+/- 4.5V for a 0 and 16+/-6.5V for a 1.